The first stage towards knocking down the Heygate estate was to call the Elephant & Castle an ‘Opportunity Area’. So anybody living on a Council estate down the Old Kent Road can be forgiven for being a little worried by Southwark’s proposal to call it an Opportunity Area with a draft Area Action Plan on top. This is a map of all of those Council estates that fall within the Opportunity Area and proposed Area Action Plan boundary. Southwark’s ambition is to build at least 20,000 new homes within the Opportunity Area and while it says it’s going to focus on industrial and retail land, it does not rule out building on existing housing land. It goes on to highlight “the need to make difficult choices” accompanied by “the prospect of leveraging in private sector investment”. Development in the new Opportunity Area will be driven by the construction of the Bakerloo line extension with two new tube stations along the Old Kent Road. The tube extension is estimated to cost a total of over £3bn. Council documents show that the funding requirement just for the two new Old Kent road tube stations is a staggering £1.25bn, to be funded jointly by TFL and planning gain from the developments that are going to provide the 20,000 new homes. This will create pressure on affordable housing, which Southwark emphasises will be ‘subject to viability’ rather than simply stating the 35% requirement of its Core Strategy - an open invitation to developers to reduce it to a minimum. The first major development along the Old Kent Road ‘Bermondsey Works’ shows what can go wrong when developments are ‘subject to viability’. As the result of a ‘tailored financial viability assessment’ created by ‘Affordable Housing Solutions Ltd’, this 19 storey, 158-unit scheme is providing just 10 affordable homes (none social rented) and contributing just £88,546 towards the cost of the new tube stations. This works out at just £560 per unit and if this precedent is followed, Southwark would only receive £11.2m from its 20,000 new homes towards the £1.25bn cost of the tube stations. 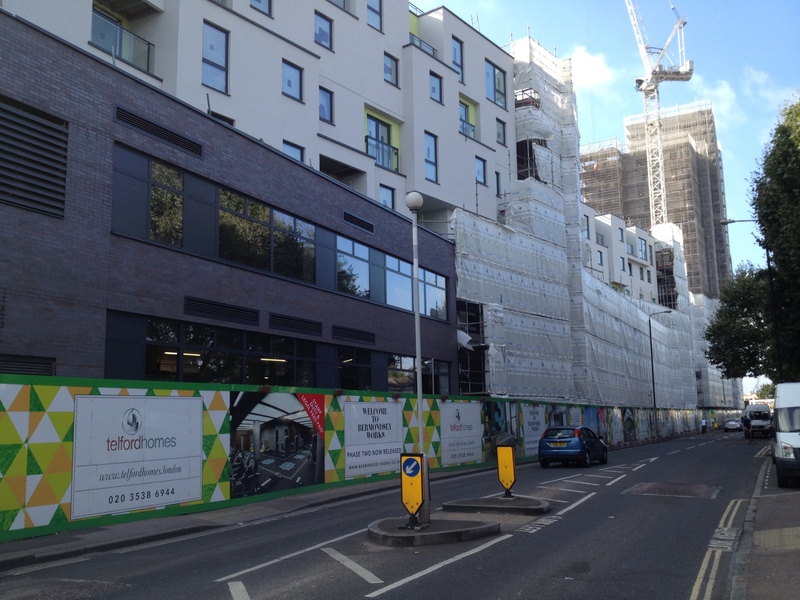 If Southwark can’t do better than that, the only opportunities down the the Old Kent Rd will be for developer’s profit.